Headlamp Adapter Kits include mounting ring, O ring, and all required hardware to be installed inside OEM headlamp bucket. Headlamp Conversion Kits include new headlamp bucket with mounting brackets, wire assembly, and required hardware. 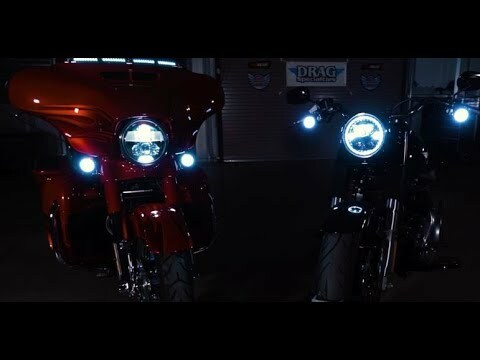 ProBEAM® LED headlamps also available in 7" or 5.75" diameter for Harley-Davidson® models. Headlamp Adapter Kits include mounting ring, O ring, and all required hardware to be installed inside OEM headlamp bucket. Headlamp Conversion Kits include new headlamp bucket with mounting brackets, wire assembly, and required hardware.